In this first historical novel in a series, debut author Finley tells the story of a young woman of the antebellum American South who takes on entrenched institutions in order to get justice for her friends. In 1850, 18-year-old Willow Hendricks is the lady of the house at Livingston, her father’s South Carolina cotton plantation. “I was your typical Southern belle on the surface, which pleased my father,” she reflects, “but my wayward opinions gained his disapproval.” Those opinions include the notion that women should have as much say over their lives as the men around them do; she also hates the brutal system of slavery that keeps the plantation running. 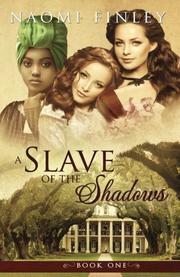 With the help of a new friend, an outspoken Bostonian named Whitney Barry, she attempts to secure freedom for the slaves in her life, including Mammy, the woman who raised her, and Mary Grace, whose beauty attracts unwanted attention from white men. Going against the system means great risk for Willow and Whitney, but in doing so, Willow may learn secrets about her own family—including the identity of a man who surreptitiously moves about the plantation. Finley writes in a finely wrought prose style that vividly conjures even the most mundane details of the period: “Behind the privacy screen, with Georgia’s help, I dressed for the day. After a quick use of the chamber pot, Georgia and Sam returned to the closet.” She shows herself to be an adept storyteller, and paints Willow as an admirable, compelling protagonist. The book has all the secrecy, romance, and plot twists that one could hope for in a historical melodrama, but the author also adds a pleasing dash of progressive politics and feminism that gives the work a higher purpose. Those looking for a less-problematic alternative to Margaret Mitchell’s Gone with the Wind could do worse than this novel, which feels surprisingly relevant to the current historical moment. A pleasant costume drama with a focus on liberation.